Those of you that pay attention may have noticed that I haven’t been posting my rambling and incoherent thoughts much lately. In fact, I had, and still have, a half finished post on the absolute delights of birding the amazing island of Borneo in Asia. It’s sitting in my drafts folder, over a month after I started it, and will stay there a while longer before I inflict it on the world. It is half finished because the day after I started it, two days before I planned to publish it, I retired to bed early with a general feeling of malaise and a pounding headache. The next day I didn’t got to work, ten days later my condition deteriorated to the point I was admitted to the hospital, and six weeks later I am still working part time as part of what promises to be a slow recovery. 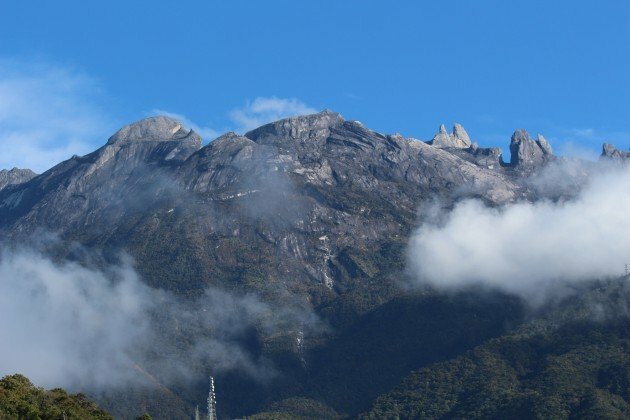 Coming down with nasty flu like symptoms so soon after coming back from tropical Asia obviously focused the direction of the initial tests, and I had to describe my itinerary, locations, living conditions and behaviour in Borneo a number of times to different doctors. And while the initial suspicion, malaria, was wrong (and thank God too because I spent a fortune on preventative pills), I did indeed contract an Asian strain of bacterial infection. Catching unpleasant tropical maladies is a risk all birders, or any other tourists, take when they visit exotic locales. And while you don’t often see it discussed on trip reports, preparing for this is an important part of getting ready for going on a trip. It’s crucial that you visit a travel doctor before you start (and with enough time to get everything you need) to find out what kind of vaccinations, pills and other preventative measures you might need. And, of course, all the preparation in the world won’t protect you every time, so make sure you have good travel insurance. It’s also worth thinking about the worst before you go. All the preparation in the world is not a guarantee you’ll be fine. I was prepared and took reasonable precautions while I was out there, and I was still struck down. But it was a risk I was prepared to take, and would take again. I’ve actually been quite lucky in the past, spending much longer periods of time in much more basic circumstances in wilder locations. Were I not so feeble still I’d laugh that it was the time I can finally stay at a five star location that I manage to get very ill. But I love traveling, love seeing new places and have no desire to be hemmed in by fear. I imagine most birders are the same, but it is parhaps best to reflect on that before you go. 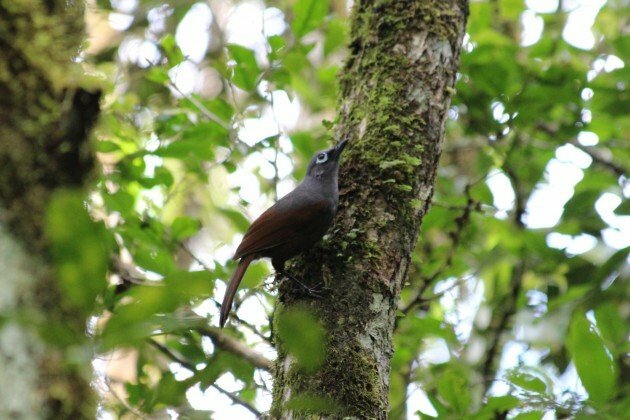 A little visit to the hospital isn’t enough to put me off the opportunity to see birds like the Sunda Laughingthrush! It’s often the case that you take the precautions, but someone else is less vigilant, spoiling your protection. Here’s hoping you are feeling stronger soon. I always enjoy your posts, and wish you a speedy recovery. It’s good to know you’re still eager to travel and bird in exotic lands! Godspeed for a smooth and full recovery, Duncan. As the sole kiwi 10,000 Birds writer you’re something of a Threatened species, so we’d better not lose you! Get well soon….we miss your posts and eagerly await more Borneo birds! And, on the good side, you got sick AFTER the birding trip! You are correct, there isn’t a lot out there about taking medical precautions before a birding trip. My experience is that even when I see a “travel doctor”, they don’t always know much about medications needed for some of the more basic birding areas. So, it’s always good to do your own research too. A good travel doctor should be able to advise on which anti-malarial is appropriate for your destination. In some locations like Vietnam bog standard drugs won’t cut it anymore, and you will have to choose between the expensive malarone or the potentially dangerous larium. If your doctor can’t do that I’d suggest finding a better doctor. It is worth doing research, but what you learn online should always be taken with a pinch of salt.